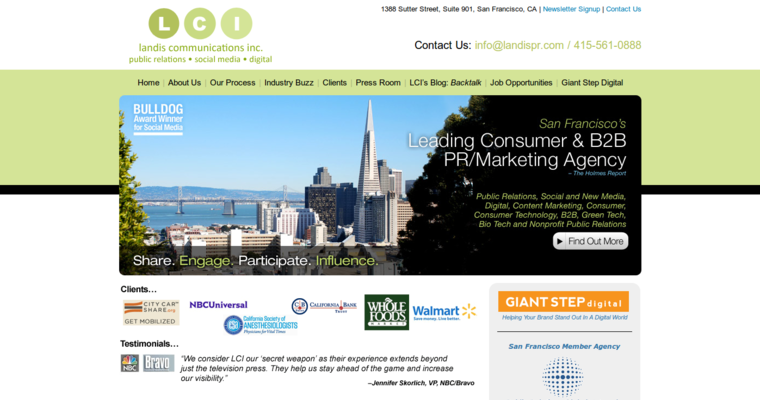 Landis Communications Inc. - A Public Relations Industry Leader Competition among California businesses is huge. It takes a stellar public relations performer like Landis Communications with top notch skills and experience to cut a wide swath between businesses and their strongest competitors. Landis Communications provides a full complement of services to meet any business challenge. These include: . Public relations . Digital and content marketing . Biotech and Green Tech . Social media . Non-profit, consumer and consumer technology public relations and marketing strategies . B2B The Best Public Relations Company Located in one of the country's biggest business hubs, San Francisco, Landis Communications Inc. has a proven track record of success with a broad variety of clients. Reviews from loyal, satisfied clients prove Landis professionals are the best. When businesses need a jump start or a revitalizing of their public relations plans, Landis Communications offers the highest quality client services. 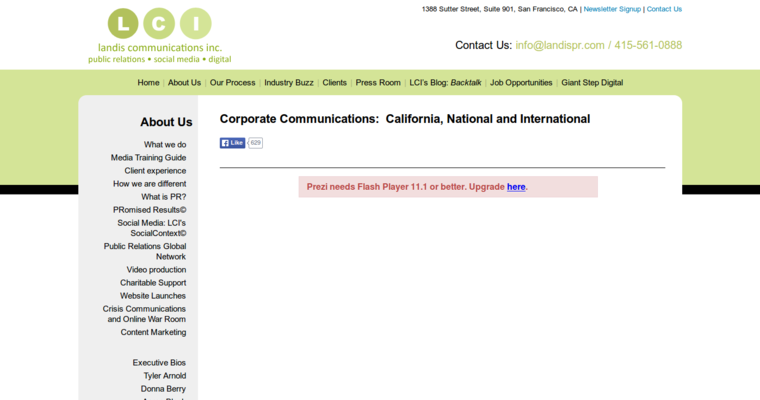 Visit Landis Communications Inc. website at http://www.landispr.com/index.php.